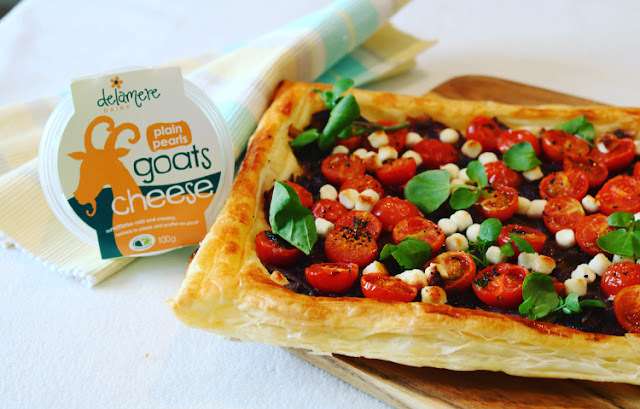 This is a brilliant recipe, which once you’ve made, I guarantee you will go on making because it’s just about the easiest and most tasty summer recipe. 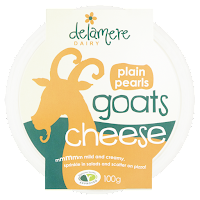 Delamere Dairy’s Goats Cheese Pearls are deliciously creamy and make this recipe! 2. Heat 1 tbsp of oil in a pan over a medium-high heat. Add onion and sugar, season and cook for 5-7 minutes, until softened and coloured. Remove from the heat and set aside. 3. Put the remaining oil, cherry tomatoes, thyme leaves and garlic in a bowl, mix until well coated, season with salt & pepper. 4. Lay out the pastry on a lined baking tray. Then using a sharp knife, score a line (not all the way through) along each side of the pastry 2cm from the edge. 5. Spread the onion over the base, then pour over the tomato mixture evenly, keeping within the scored lines. 6. Sprinkle the goat’s cheese pearls over the top amongst the tomato, season with pepper. Then brush the border with beaten egg. 7. Place in the oven for 20 minutes or until the pastry is golden brown & puffy. 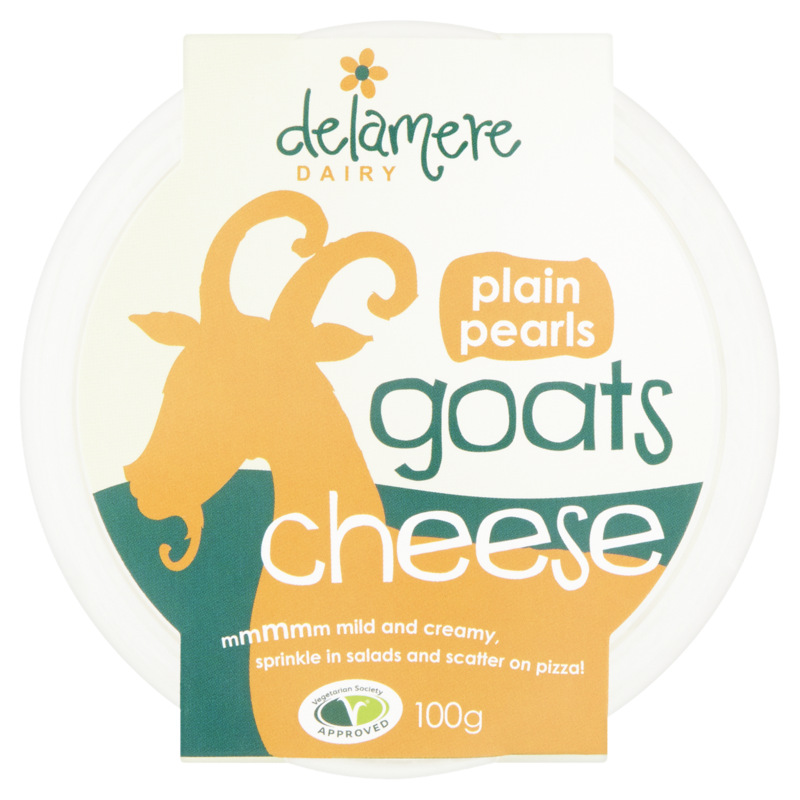 Scatter over watercress and serve. Enjoy! Deliciously creamy and very versatile Delamere Dairy’s Goats Cheese Pearls are available plain or delicately infused with honey. 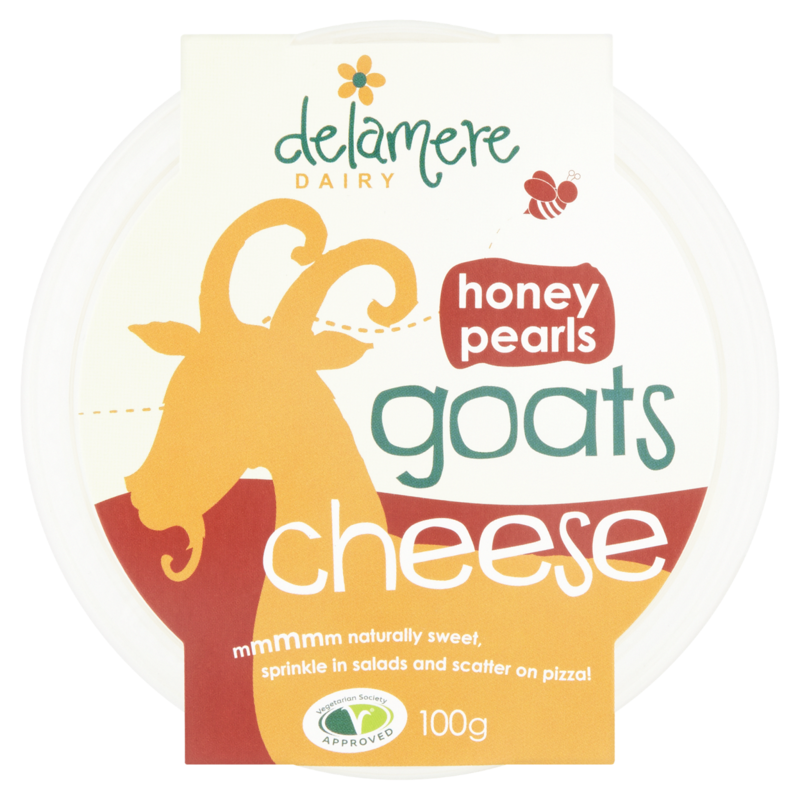 Guaranteed to add some wow to your favourite dishes, sprinkle them in summer salads, on pizza, on canapes, in jacket potatoes… the options are endless.